Great News! 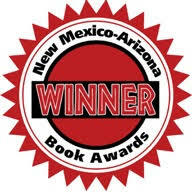 BOOKED 4 MURDER won the 2018 New Mexico-Arizona Book Awards in the cozy mystery category, along with author Michael Orenduff's THE POT THIEF WHO STUDIED EDWARD ABBEY. We are thrilled to have achieved this honor!